Join Dr. Tom’s email list and get the FREE Guide to self activation. Email tips. Seminar announcements. And the free guide to self activation. To deepen your understanding of Douglas Heel’s Be Activated philosophies and learn how you can begin to use it for yourself, leave your email in the box below. You’ll get the e-book “Understanding Self Activation Technique” in your inbox immediately. 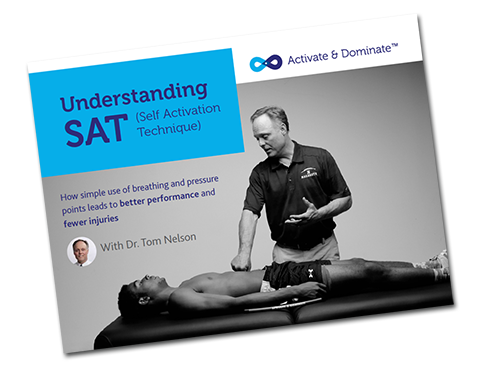 This short and simple guide explains the basics of self activation for athletes and sports teams – including what activation does, how it’s done and how you can get started yourself. After that, you’ll get occasional email from Dr. Tom with tips and techniques on how to make activation a part of your athletic practice. When training seminars and other opportunities arise to learn activation in person with an expert, you’ll be the first to hear about them. Seminars take place about twice a year. We don’t share your e-mail with anyone. You can cancel any time.